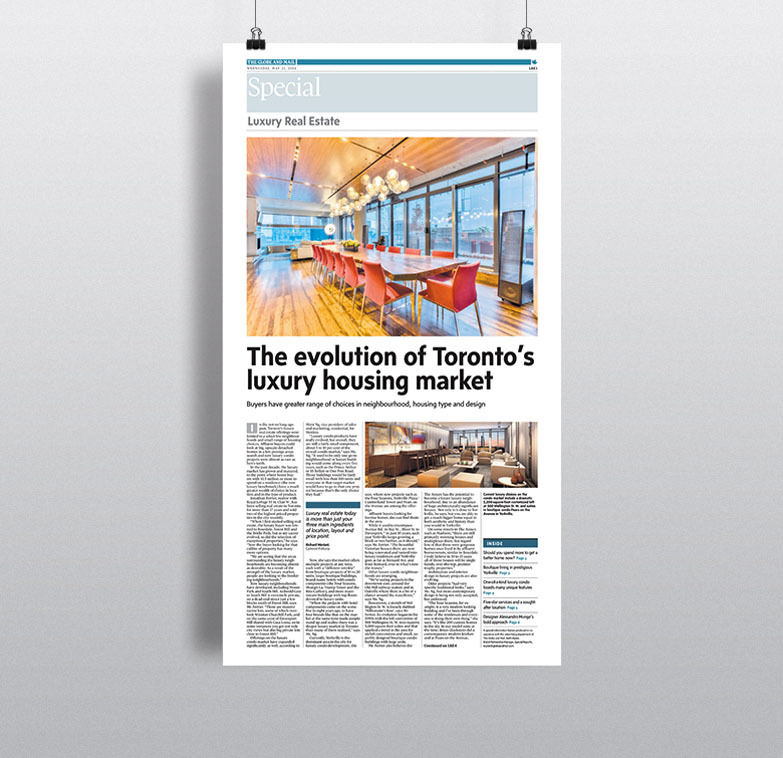 In the not-so-long-ago past, Toronto’s luxury real estate offerings were limited to a select few neighbourhoods and small range of housing choices. Affluent buyers could look at big, upscale detached homes in a few prestige areas search and new luxury condo projects were almost as rare as hen’s teeth. In the past decade, the luxury market has grown and matured, to the point where home buyers with $1.5 million or more to spend on a residence (the new luxury benchmark) have a much greater wealth of choice in location and in the type of product. Jonathan Ferrier, realtor with Royal LePage 55 St. Clair W., has been selling real estate in Toronto for more than 17 years and sold two of the highest priced properties in the city recently.